Happy Monday! Julie Morstad dropped by to celebrate National Poetry Month. 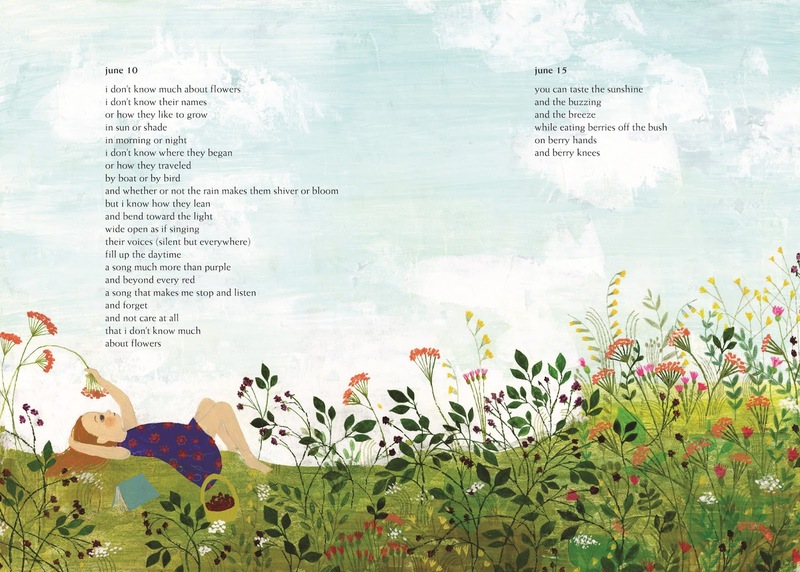 We chatted about When Green Becomes Tomatoes, seasons, picture books, and reading. I wrote the words in green, and she wrote the words in black. Thank you, Julie! 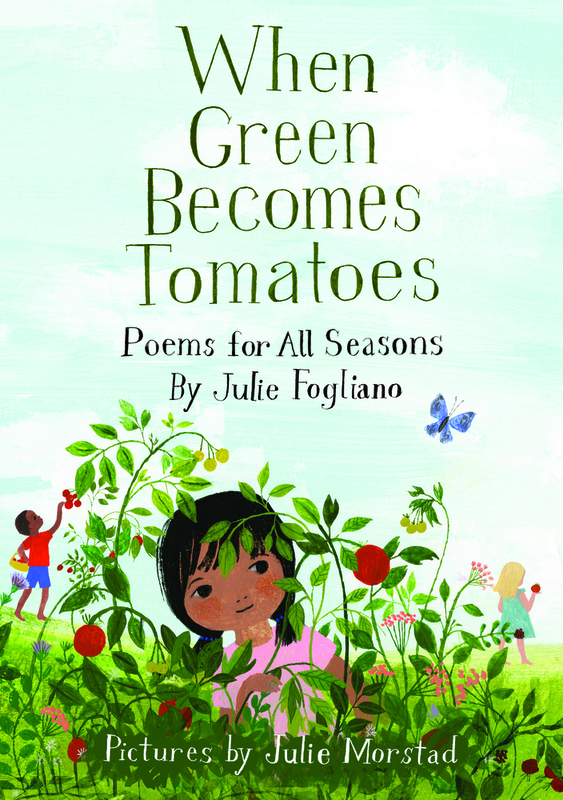 When Green Becomes Tomatoes is the first picture book I have made with Julie Fogliano. I love her voice. When I first read the words, they reminded me a little bit of Ruth Krauss. There's something childlike there - one of my all-time faves! I hope we get to make another book together someday. My favorite season is summer. Hands down. While snow is beautiful, I hate to be cold! If you visited my studio you would see many piles of books on different subjects, little things that inspire me and art supplies meticulously arranged by colour or in total chaos. Picture books are a dream for me to be illustrating as a job. Seriously! My dream job. I feel so lucky. Reading is... Hmmm ...maybe I will say that books are like food to me. I'd starve without them. 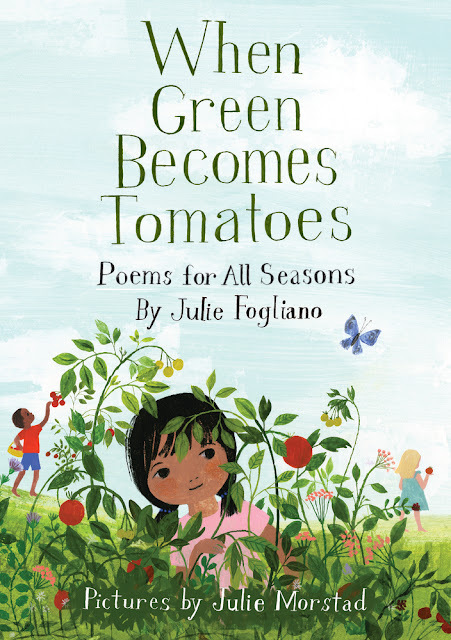 Borrow When Green Becomes Tomatoes from your school or public library. Whenever possible, please support independent bookshops. 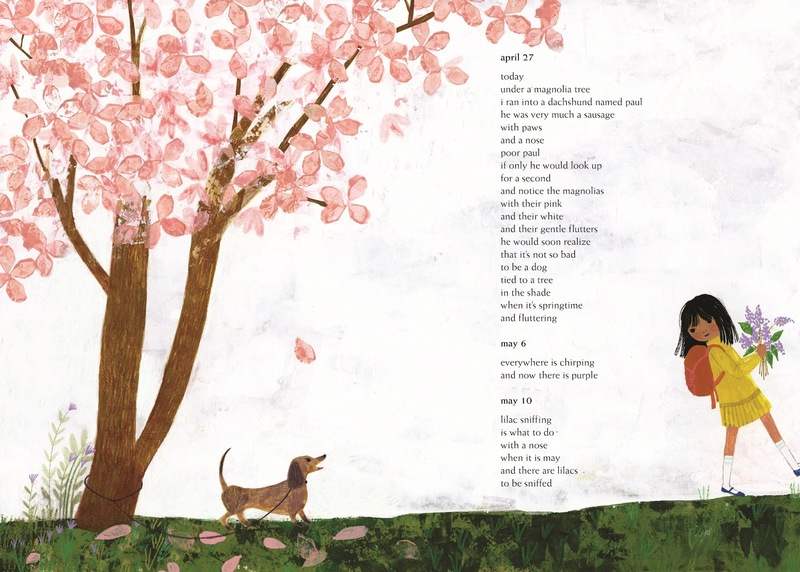 I adore this book, and love your illustrations, Julie! One of my favorite things is all of the different shades of green in the book (and in nature). Thanks! !